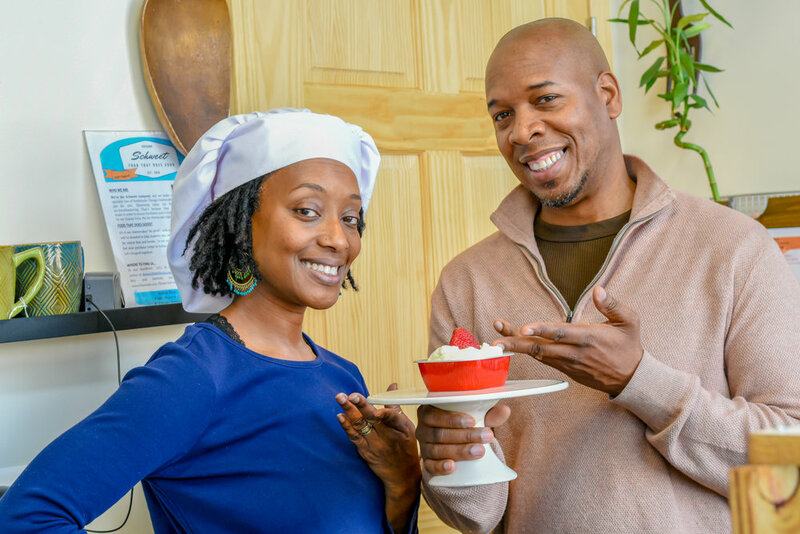 Schweet Cheesecake is the love child of husband and wife team Brian and Chamille Weddington. Born of the couple’s passion for food, Schweet (pronounced shh-wee-t) is family-owned and operated by the duo and their adult daughter. 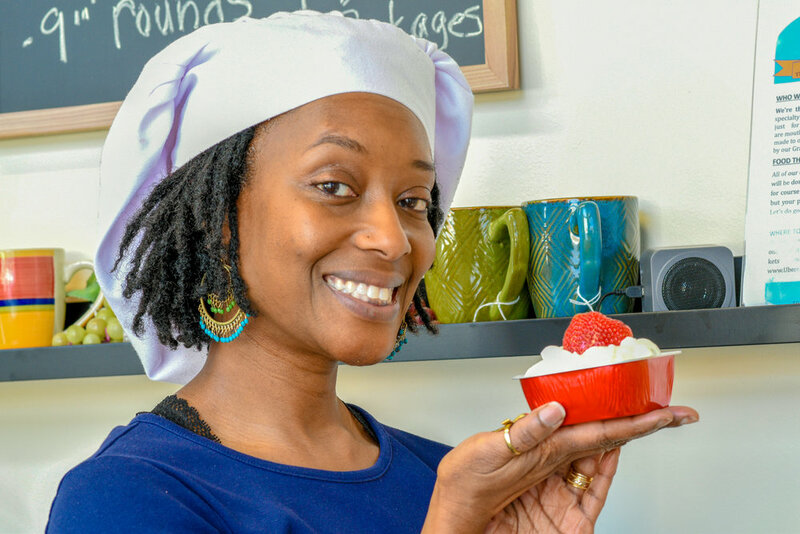 Schweet’s shop is tucked into a bustling business corridor made up of black-owned businesses like Brown Sugar Bakery in Chicago’s Austin neighborhood. It’s the other thriving Austin that doesn’t get much shine but should. The Weddingtons are proud Austin-natives and current residents of the West Side neighborhood. “We love and know the community and it’s the community that’s the real currency of the business,” says Brian (a.k.a. “The Crustmaster”). With backgrounds in education, the Weddingtons leaned into Chamille’s expertise as a business and entrepreneurship professor while planning their business model. Part of their strategy includes taking product directly to consumers at festivals, events, and pop-up shops. Sampling is a low cost and low-risk way for consumers to try a new product and the Weddingtons get to tell their brand story directly. This type of interaction has gained Schweet a significant following, even successfully converting consumers who were previously loyal to other legacy brands. The Weddingtons found key community partnerships in the Austin African-American Business Network Association and the Westside Health Authority, which offered the couple a storefront in their building. 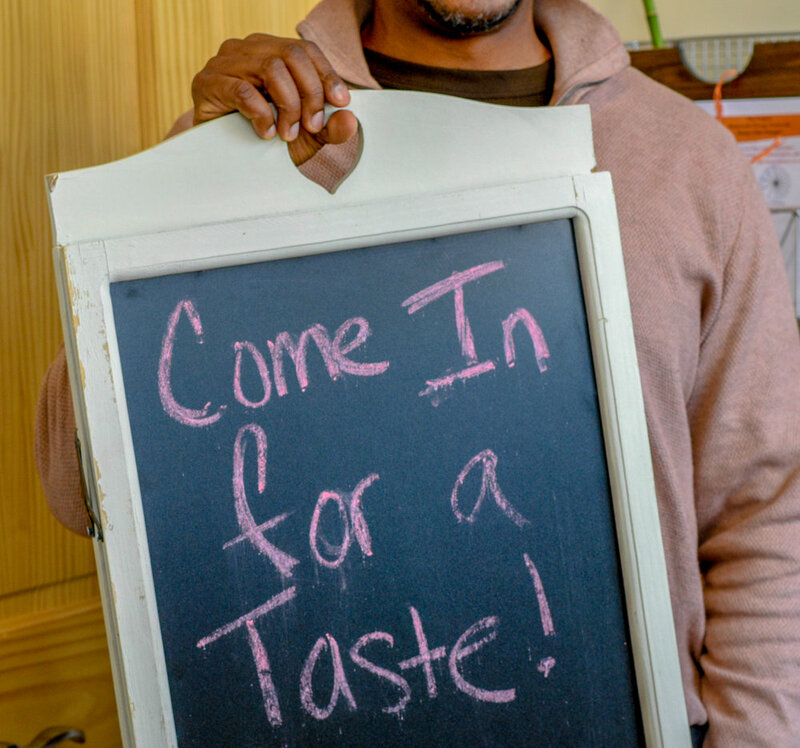 Even though expanding the business wasn’t part of the Weddington’s short term plan, the opportunity to open a brick-and-mortar location was too good to pass up. “You know, when you stir up the universe and you commit to building up your community, things happen,” Brian says. “Directions you think you’re going in — no, God has a different route for you.” The couple agrees wholeheartedly that developing a strong network is a valuable ingredient to their success, “On a scale of 1 to 10, it’s an 11 because no one does anything alone,” Chamille says.